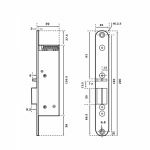 The Abloy Eff Eff 351U80 12v dc Fire Lock is perfect to be used on fire exit doors as it will release under side load pressure. The locking prism is kept in the locking position through a spring force. When the door closes, the prism works with the striking plate. As the electric strike is energised, the prism is locked into position which then locks the door. In models with integrated door contact, locking actuation to "door closed" status, operated by the door contact, can be permitted. The integrated armature contact (25 V/1 A) can be used to electronically monitor locking status. System requirements: Swing door closer with adjustable closing pressure and closing speed which securely positions the door leaf ready for locking. A0735-01 Surface housing with mounting component. 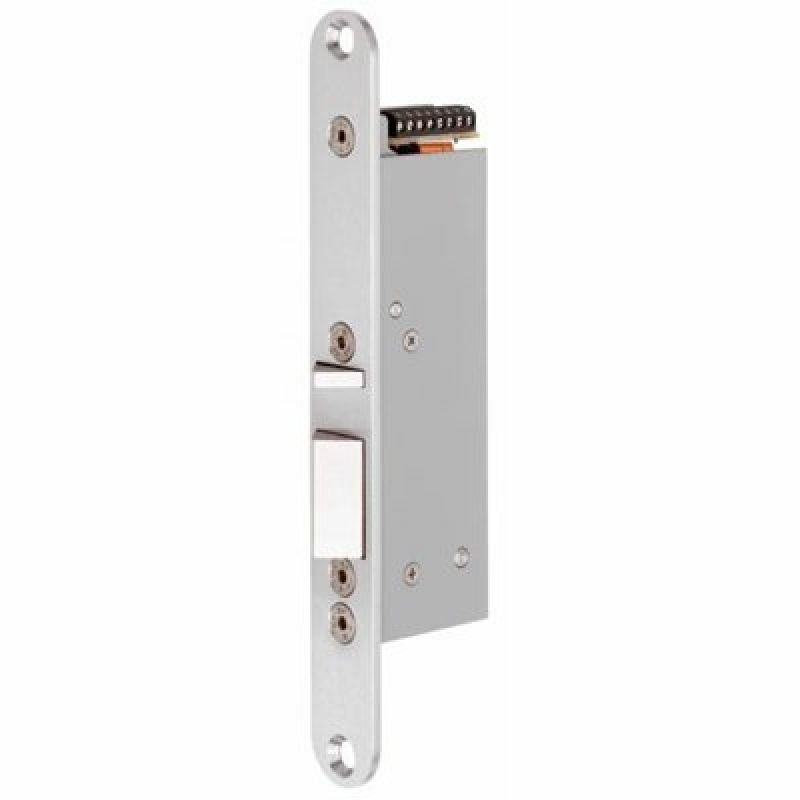 Allows the 351 U80 to be surface mounted to glass doors or flush over panel, rebated or non-rebated. 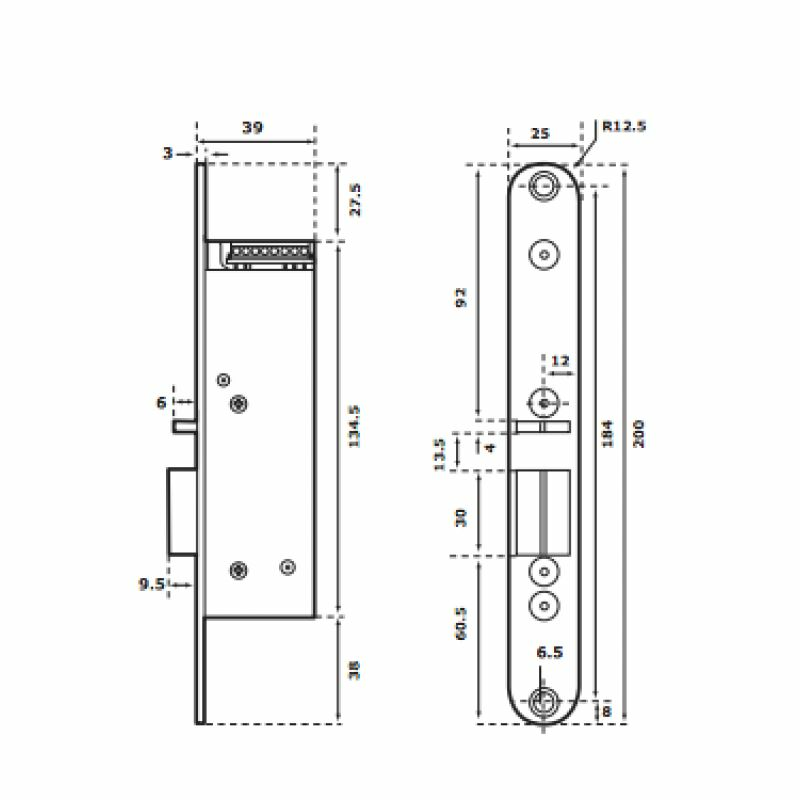 80335-01 Strike for thicker doors up to 54mm.